A simple understanding of unction is God’s unmistakable presence attending and empowering the preaching of His Truth. Simply stated, unction is commonly referred to as the anointing of the Holy Spirit. Preaching with unction occurs because of the anointing of the Holy Spirit. But this simple understanding, as true as it is, might be understood in such a way to assume that the preacher bears no responsibility or liability for preaching with unction or the lack thereof. Without trying to curtail the sovereign work of God in anointing a preacher with His Spirit, there are some particular areas that a preacher must fulfill for there to be an unmistakable presence and empowering of the Holy Spirit in preaching. Unction is the result of careful and diligent preparation, having earnestly sought God in prayer for Him to do what He wills to do with the preparation that has gone forth. Careful and diligent preparation concerns both the messenger as well as the message to be preached. Certainly the preacher must spend time in personal reflection, prayer, confession and personal commitment regarding the truth he has discovered. Unless he has made himself the initial audience of the sermon that he will ultimately preach to others, he will not preach with unction. This is the subjective preparation needed in order to preach effectively. The point here, however, is the objective preparation and, more specifically, the results of the objective preparation—an exposition of a biblical passage, a message that is according to His Word. Expository preaching is not solely the endeavor of preaching a sermon to God’s people on the Lord’s Day or any other time. A sermon may be true, may be insightful, encouraging and of practical value; yet that does not constitute a message according to His Word. When, however, the appropriate work has been done to understand the passage to the point that its meaning can be communicated clearly, corroborated convincingly, applied profitably and the personal preparation of one’s soul to preach the message to others has been accomplished, then one may know that he has not been presumptuous in his efforts to preach according to His Word. As Lloyd-Jones suggests, the right way to look upon the unction of the Spirit is to think of it as that which comes upon the preparation. An Old Testament incident that shows this relationship is the story of Elijah facing the false prophets of Israel on Mount Carmel. We are told that Elijah built an altar, cut wood and put it on the altar, and then killed a bull and cut it in pieces and put the pieces on the wood. Having done all that, he then prayed for the fire to descend; and the fire fell. That is the suggested order. Does it make sense to pray that God would bless the preaching of His Word when His Word will be replaced by the preaching of the preacher’s sermon? If a preacher is involved in such a homiletical substitution, opting to preach a sermon rather than explain God’s Word, can He expect that God would champion this effort? The more a preacher distances himself from the exposition of His Word, the less confidence he may have that he will preach with unction. Unction aside, such a homiletical substitute will lack appropriate sincerity for preaching, which is too common in preaching today. Any message that is understood as God’s truth rather than the preacher’s sermon will be a message that will be marked by sincerity. How could it be otherwise? If a man is preaching according to God’s Word, how could he not be in utmost sincerity in what he is saying? If, however, he is preaching his sermon, only a man of hubris could preach from utmost sincerity. God is committed to blessing His Word, not a sermon. To the degree that a preacher’s sermon is according to His Word, there is the prospect of both the empowering of the preacher and the using of that message for the benefit of God’s people. Preachers do not naturally have unction. A preacher may naturally be very intelligent, or delightfully humorous, or shy and reticent, etc. Again, he may possess a lot of charisma, may be a very forceful individual with a strong personality, and he may be thought of as being a strong natural leader; but this is not unction. How many preachers view themselves and their calling as different from the prophets of old? How many men look at the biblical prophets and think, Now there is a man called by God; there is a true servant of God! and then view themselves as a servant of God who is called by God to be involved in sermonizing and speechmaking? These men are destined to preach as though they are makers of sermons rather than a servant of God who is proclaiming God’s Word. A strong grasp of the message is important, but it is not enough. It is equally important that the message to be proclaimed has a strong grasp on the one who proclaims it. Preaching with unction is a matter of possessing a strong grasp of the truth and being possessed by a strong grasp of the truth. In other words, a preacher’s feeling about the message has a lot to do with his communication of it. Years ago someone asked Charles Haddon Spurgeon, “How can I communicate like you do?” Spurgeon answered, “It’s very simple. Pour some kerosene over you, light a match, and people will come to watch you burn.” Is God’s Truth so exciting to you that it lights you up with excitement? Does it move you spiritually, or is it simply cognitive content? If a preacher does not have a strong grasp of the message to be preached, and the message to be preached does not have a strong grasp on the preacher, how likely is it that he can preach with unction? A servant of His choosing. What makes a sermon interesting? Why do people listen to sermons, or what enables them to listen to them? Enthusiasm, or the obvious demonstration that the preacher is convinced that he is involved in no small endeavor as he preaches God’s Word, is absolutely crucial to preaching with interest and unction. The greatest producer of enthusiasm for preaching comes from the incomprehensible fact that one has been called by God to preach. Unfortunately, some men have “gotten over” the incredible reality that God has called them to preach His Word just as some Christians have “gotten over” the incredible reality that God has chosen them for salvation. A preacher who has grown complacent with his calling from God will preach complacently, and this kind of preaching will not be marked with unction! A preacher who, in effect, yawns at his calling is a preacher whose hearers will yawn at his preaching! A preacher cannot expect to be endowed with unction in his preaching and produce the interest that preaching with unction supplies if he is no longer resolute in fulfilling His God-given calling. The Apostle Paul had no doubts about his being chosen by God to preach His Word, and that is why he was able to preach as he did. The weightiness of a man’s preaching is commensurate to the weightiness of his calling from God, and this contributes to his ability to preach with unction. A servant under His control. Preaching with unction occurs because the one preaching is controlled by God. Since unction comes from God, only one who is under His control will preach with God’s unmistakable presence attending and empowering the preaching of His Truth. One who is under God’s control will be one who is without corruption and will demonstrate an integrity that is essential for persuasion in preaching. A preacher under God’s control will preach with his emotions and passions aided and influenced by the presence of God in his life, by whom he is not only possessed but filled with the Holy Spirit. The only way one may preach under His control is to be controlled by—filled with—the Holy Spirit. To the degree to which one preaches without the filling of the Spirit, one will not preach under the control of the Spirit and will forfeit the anointing of the Spirit. True preaching is God acting upon the preacher so that God is using this man rather than just a man uttering words. Therefore, the preacher is being used by God, and he is under the influence of the Holy Spirit. This is what Paul referred to as preaching “in demonstration of the Spirit and of power” (1 Cor. 2:4, NKJV). True preaching, the preaching of a servant under God’s control, will never be partial preaching—light without heat or heat without light. When a man preaches as a servant of God who is under the control of God, his preaching will be attended with unction—preaching with heat and light. Preaching by its very nature assumes authority—“Thus saith the Lord.” If a preacher does not assume this authority, he cannot escape a more subtle assumption and absolute corruption of authority—“Thus saith the preacher.” What the preacher says on his own authority will not be marked with unction. It may be characterized by a speculative tone or an arrogant assurance, but it will not be possessed by God’s unmistakable presence attending and empowering the preaching of His Truth. The preacher should never be apologetic, tentatively putting forward certain suggestions and ideas. He is there to declare certain things; he is under commission and under authority. He should always know that he comes to the congregation as a sent messenger. This is not a matter of self-confidence—it means that you are aware of the solemnity and the seriousness and the importance of what you are doing. You are a man under authority, and you have authority. It is not preaching God’s authoritative Word with unction that should be of concern to a preacher and those who hear preaching. What should be of great concern to both the preacher and his hearers is the possibility of preaching in any way other than this. Though unction is not automatic so that it will be present every time a preacher preaches, it is true that a preacher can preach with unction consistently. There are preachers whose preaching is characterized by unction from sermon to sermon throughout the years. Unction is readily discernable and may be consistently demonstrated in great degree, only to be demonstrated at an even higher level from time to time. For any preacher unction is a relative reality. Every preacher preaches with a common empowering of God in his preaching. But the common level of empowerment is replaced with a level that is above and sometimes below the norm. Such is the case for all who preach! Preaching must be done in great conviction. People listen in the presence of authentic conviction. The accent of conviction leaves the impression that something tremendous is at stake. Conviction concerning the veracity and vital nature of the truth, not courting the approval of the hearers, is to be the concern of the preacher. The weakness of some preaching is that it does not affirm anything vital. It has no note of authority and imperativeness because it has no roots. 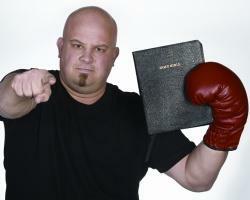 Nothing is more pitiful than a preacher without deep-seated convictions. Preaching without conviction is an indictment on both the message and the messenger. A sermon that can be preached without conviction is a sermon that never should have been preached at all. his hearers is being overridden by his subjective message. His subjective message to his hearers is this: “Don’t believe anything I am telling you since it is obvious that I sure don’t believe it!” A preacher without conviction is not a preacher who can preach with unction. The first condition of an interesting sermon is that there is a fused interest for the truth being proclaimed by the preacher as well as the congregation. He may be on fire with what has little interest for them—result: heat in the pulpit and coldness in the pews. A preacher will never be on fire with a message unless it gets hold of him entirely. A congregation will not respond unless the truth reaches them. Preaching with passion is the result of the truth being preached profoundly impacting the heart of the preacher. Passion is also key to a preacher being used by God to impact those who hear him preach. Passion is not a luxury item but must be viewed as a basic commodity in preaching. And why would this not be the case? In preaching, a preacher is not simply imparting information; he is dealing with people on the way to eternity. A preacher deals with matters not only of life and death in this world but with eternal destiny. Nothing can be so terribly urgent. When one preaches it should certainly be evident that he understands the significance of his work. To the degree that he does, he will preach with passion. The most legitimate way an expositor can impact the emotions of those who hear him preach is by appropriate preparation so that his own heart is gripped by his understanding of the passage. “This is a matter of feeling one’s message. Nothing touches the emotions of people more effectively than for a preacher to feel his message. ... The fire in his own heart will invariably strike fire in the hearts of others. They will be convinced that he really believes what he says” (Roy Short). In order to preach with unction, one must be passionate in the preaching of God’s truth. If a preacher does not preach with passion, which suggests a lack of sense of urgency, since he is there between God and men speaking between time and eternity, then he has no business to be in the pulpit. The pulpit is no place for calm, cool, scientific detachment in significant temporal issues and eternal matters. Calm, cool detachment may possibly be acceptable in a philosopher or an educator; but it is unthinkable in a preacher because of the unique situation in which he is involved. An appropriate motivation in preaching is to persuade people. The preacher does not just say things with the attitude of “take it or leave it.” He desires to persuade them of the truth of his message; he wants them to see it; he is trying to do something to them, to influence them. He is not just providing a learned discussion on a text; he is certainly not giving a display of his knowledge; he is dealing with the lives of people, and he wants to move them, to take them with him, to lead them to the Truth. That is his whole purpose. will attend the sermon with increased interest. The discernable compassion of the preacher provides refreshment through the ministry of the Word from one who has a heart for those who hear him preach. This refreshment provided to the hearers enables the hearers to listen with greater interest to the one who is preaching to them. Certainly a major consideration for the energy of a sermon is the preacher’s personal interest in the truth he will be expounding and, consequently, his desire to preach the sermon. Obviously, if one is about to preach yet without a compelling desire to do so, not only will unction be conspicuously absent but his purpose for preaching this sermon is deficient of divine prerogatives. He must impress the people by the fact that he is taken up and absorbed by what he is doing. He is full of matter, and he is anxious to impart this. He is so moved and thrilled by it himself that he wants everybody else to share in this. He is concerned about them; that is why he is preaching to them. He is anxious about them; anxious to help them, anxious to tell them the truth of God. So he does it with energy, with zeal, and with this obvious concern for people. In other words a preacher who seems to be detached from the Truth, and who is just saying a number of things which may be very good and true and excellent in themselves, is not a preacher at all. But what is it the preacher is absorbed in doing? What purposes possess him if he is to preach with unction? Paul Scherer’s assessment of a good sermon establishes a well-balanced, multi-faceted criterion for assessing all sermons. He said that a sermon without exposition, with nothing that leads to a clearer understanding of God’s Word, is without its highest sanction. A sermon without doctrine, with nothing that leads to a clearer understanding of the cardinal tenets of the Christian faith, is without foundation. A sermon without the ethical is pointless. A sermon without the pastoral is spiritless. A sermon without the evangelistic is Christless and useless altogether! Unless a preacher is compelled to preach by the same purposes God has for the preaching of His Word, he cannot preach with unction. relationship with the Lord Jesus Christ, it means that we must proclaim the gospel if we are to serve them at the point of their need. There are only two types of people in the world and in the church—believers and unbelievers. God’s Word is the solution for the needs of both. God is glorified as believers are sanctified by the explanation of His Word just as He is glorified as unbelievers are converted by the explanation of the gospel. The man who preaches with unction is one who realizes that his preaching is for God’s glory. Adapted from How Effective Sermons Begin by Ben Awbrey, published in the Mentor imprint of Christian Focus Publications (http://www.christianfocus.com/) and used with their kind permission.